The chipmaker claims Apple's handsets and tablets encroach on owned intellectual property covering advanced smartphone features like carrier aggregation, graphics processing and signal amplification, the Financial Times reports. The IP is distinct from a set of standard-essential patents at issue in the company's ongoing court battle with Apple over royalty payments. Qualcomm plans to level the ITC complaint on Friday, and looks to obtain a "limited exclusion order" against newly built iPhone devices. In addition, the firm also seeks to halt sales of devices already within U.S. borders through a cease and desist order. "This is a pretty straightforward case: we've got six patents that we are confident they are infringing," said Don Rosenberg, general counsel at Qualcomm. "We are obviously very concerned about the fact that Apple has unilaterally decided it doesn't have to pay for property it takes and uses." 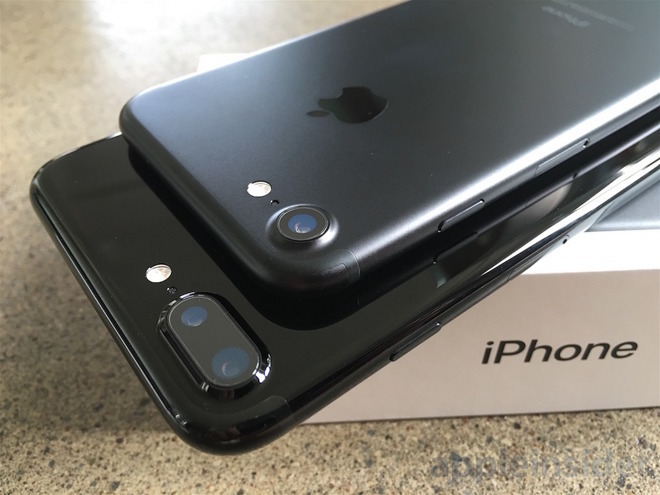 The complaint is restricted to units using wireless modems built by Intel, meaning only a portion of iPhone 7 sales would be affected by a successful ITC action. However, since the ITC usually takes about 18 months to render a ruling, the exclusion and cease and desist orders would also affect expected next-generation handsets like "iPhone 7s" and "iPhone 8." That could be an issue if recent reports are to be believed. In June, Asia supply chain rumors claimed 50 percent of iPhones made in 2017 will incorporate Intel modems, up from an estimated 30 percent with iPhone 7. In concert with the ITC complaint, Qualcomm today leveled a new patent infringement lawsuit in a Southern California federal court seeking monetary damages. "We would be happy to license these patents to a willing licensee if they wanted to negotiate with us. Apple has said they do not want to negotiate with us," Rosenberg said. "This also puts the lie to the notion that somehow our inventions were in the past. We continue to invent all the time." The ITC complaint is the latest assault in a constantly escalating battle between Qualcomm and Apple. Apple fired the first shot in January, claiming Qualcomm was abusing its "monopoly power" to demand high royalties and force chip buyers to license patents. The tech giant argued Qualcomm was withholding almost $1 billion in rebates in retaliation for Apple's willing participation in a South Korean antitrust investigation. Qualcomm filed a countersuit in April and has since asked courts to force Apple contract suppliers who stopped paying royalties earlier this year to continue payments.